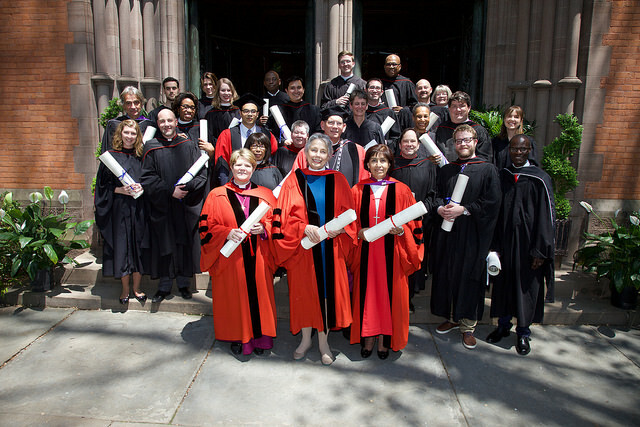 The General Theological Seminary held its 195th Commencement on May 17, 2017. Twenty seven individuals received degrees, diplomas, and certificates conferred by the Very Rev. Kurt H. Dunkle, Dean and President. The seminary’s honorary doctorate was conferred on the Rev. Barbara Cawthorne Crafton, the Rt. Rev. Maria Griselda Delgado del Carpio, the Rt. Rev. DeDe Duncan-Probe, and Mr. Herbert Thomas. Read more about the honorary doctorate recipients here. *Receiving both a Certificate and a Master of Divinity degree.